I love supporting causes and this is a very worth cause. 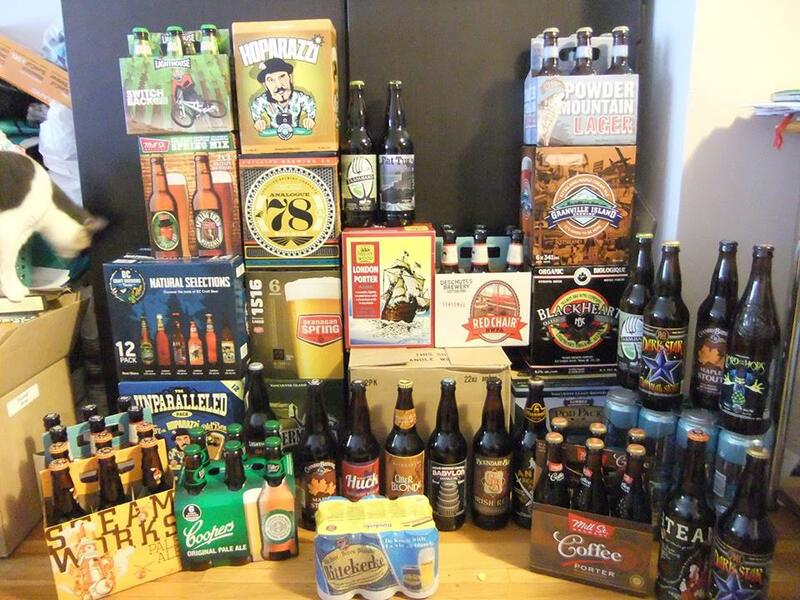 This is both a fundraiser to raise money for Cancer research but it is also a raffle to win a ton of craft beer! This year there are two different raffles one in Vancouver and one in Victoria. Below is a a photo of last years prize! To participate in this raffle the cost is a follows. $10 minimum for the fundraising side as well as either a 6 pack of craft beer or 2 to 3 bombers. I will be putting a contribution into the raffle and I hope that some of my awesome followers will do the same! I know Cancer has touched me and my family and I think it has touched most people these days. Click on the link below to get more information and where to make the donation. This entry was posted in Fund Raiser and tagged bc, canada, cancer, cancer reserch, craft beer, fundraiser, vancouver, victoria. I’m in! When’s the draw? April 28th. If you look on the Facebook page there is a contact for both the Victoria and Vancouver draws. Hit up the Victoria one to figure out how to donate.